It is hot and dry out here in le Gers. The last significant rain was two months ago and if the last couple of years are anything to go by it might not rain for another month or two. Here the herd is moving down to the Yukon River paddock. Tom, our neighbor, has seeded some nice sunflowers for the cows to gaze on while they munch. The cows go straight to the good lucerne at the bottom of the hill. I read a lot about other farms where winter has the biggest food problem, but here late summer can have as much of a shortage as winter. Farmers all around us have been feeding hay or silage since June, and that comes after feeding hay all through a cold and wet spring. Here we rotate through our lucerne paddocks to give fresh, high quality forage through the summer. The cows love it and put on condition. The calves are looking big and fat as their mothers produce good milk on this pasture. When you look at the soils after the cows have left a paddock you see that there’s a lot of trodden in material. Maybe 40-50% of the standing forage gets trodden down. Not only does this improve the soils by feeding nutrients back in, it also shades the ground. 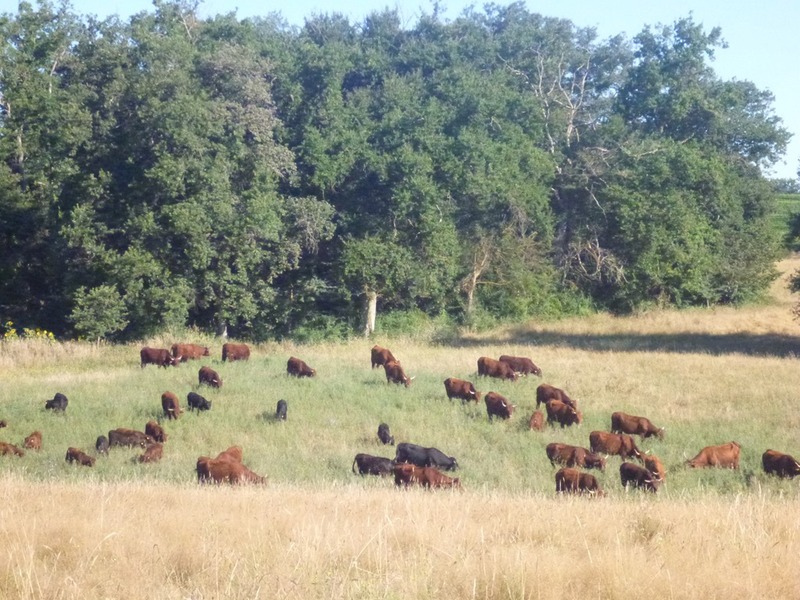 The paddock that has the least trodden in material is Colorado, which was hayed for its ryegrass and crimson clover. When you walk around Colorado now the soil is very hard and it is covered in cracks. In other places where the trodden-in forage is protecting the soil there are no cracks and I can still step in fence posts. I’m thinking this protection is keeping the soil more active and promoting soil life. It should help fall regrowth too. Still, in late summer even the lucerne starts to slow down. In a few days we’ll start the third rotation around the lucerne and there’ll be about 60% of the forage there was last time around. The plants are flowering at a lower height. We also have about 10ha of grass pasture stockpiled that we can give the cows. 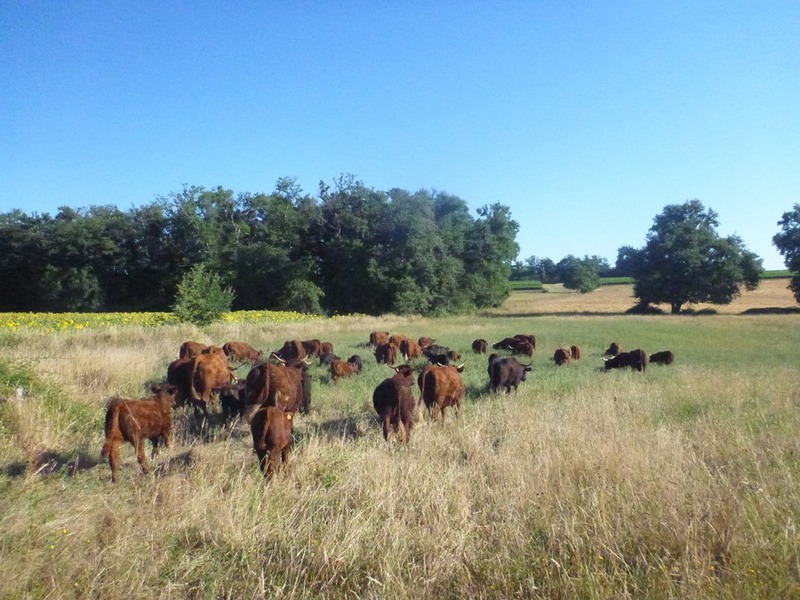 At some point we will be feeding hay along with each daily move to slow down the herd’s progress and allow the pastures some time to get ahead of the herd. Why did we move to a pony country? I wish we could send you some of our rain! We’ve had 55 inches for the year up till now! Soggy winter and soggy summer! The problem here has been for farmers to get their hay up without getting poured on. It’s super that you aren’t feeding hay yet while everyone else is. Maybe some of your neighbors will learn from you! We are doing the same thing here, working to slow down the cows to give the grass a chance to catch up with them! SL, I am jealous of all that rain! Becca, what grasses do you have on your Pennsylvanian farm?